The French have belatedly fallen in love with a foreigner: the American musical. Paris’s Théâtre du Châtelet has been specializing in the genre (although that may change under its new directors, Ruth Mackenzie and Thomas Lorio Di Prevot), and the brand new concert hall La Seine Musicale on the Île Seguin in Boulogne, just outside Paris, is now presenting West Side Story and packing them in to its 4,000-seat theater. This production, featuring a predominantly American cast (as far as I know, the French have not attempted any homegrown productions on a major scale), is on a world tour that will end in Cologne next January. 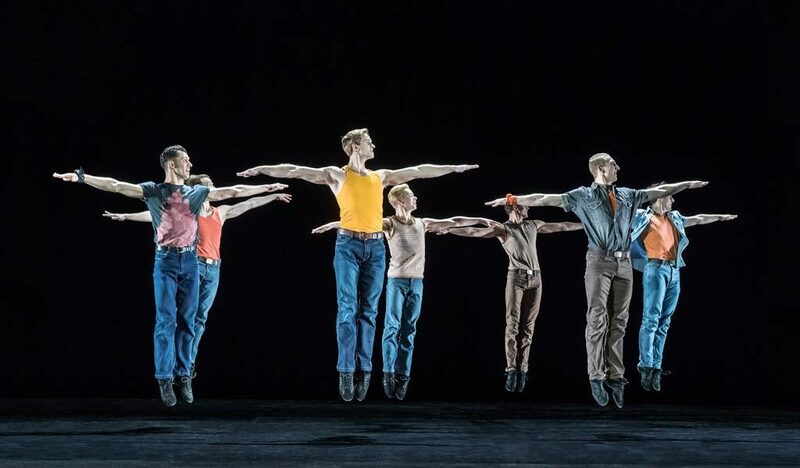 It was directed and choreographed by Joey McKneely, who studied under Jerome Robbins. To my mind – and I am certainly not alone on this – West Side Story is the greatest Broadway musical in existence. How could you lose with the quadrumvirate of Leonard Bernstein (music), Stephen Sondheim (lyrics), Arthur Laurents (book) and Jerome Robbins (choreography)? 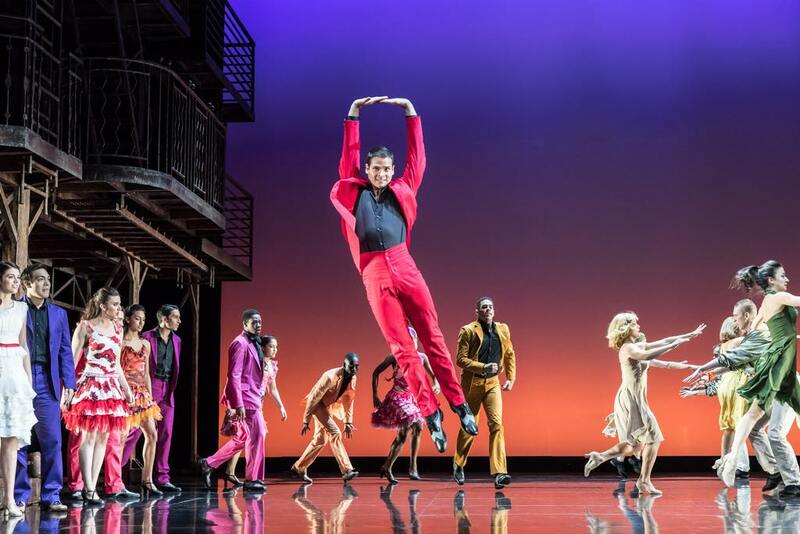 A star-studded lineup like this doesn’t always guarantee success, of course, but these four elements of West Side Story cohere into a perfect whole. And let’s not forget that the story is based on probably the most beloved play by the most beloved writer in the English language, Shakespeare’s Romeo and Juliet. 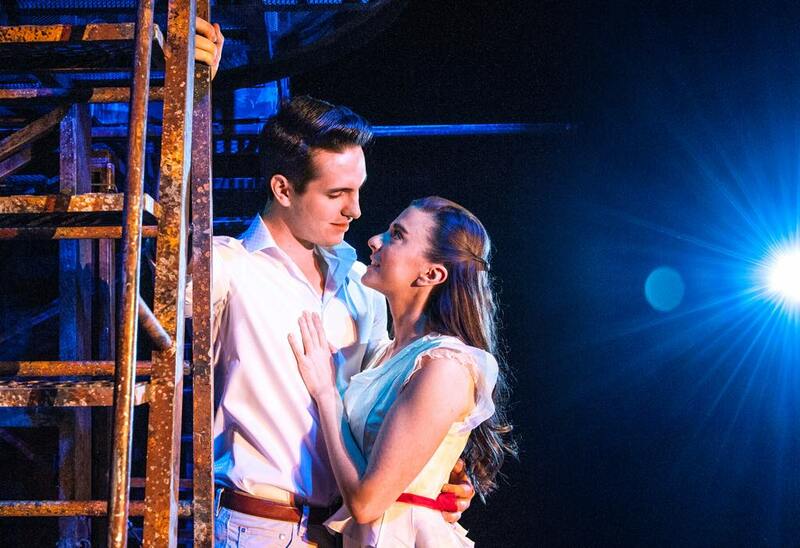 For those who never saw the original production of West Side Story, which premiered on Broadway in 1957, the gold standard is the film starring Natalie Wood, Richard Beymer, Rita Moreno and George Chakiris. My own personal gold standard is an amateur production I saw near the town where I grew up in upstate New York. Although it was at first hard to believe that the 40-something and slightly overweight singing/dancing actors playing Tony and Maria were teenagers in love, they soon won over the audience through sheer talent and had us all in tears by the end. I found it enthralling. The current production in Paris is far from amateurish. 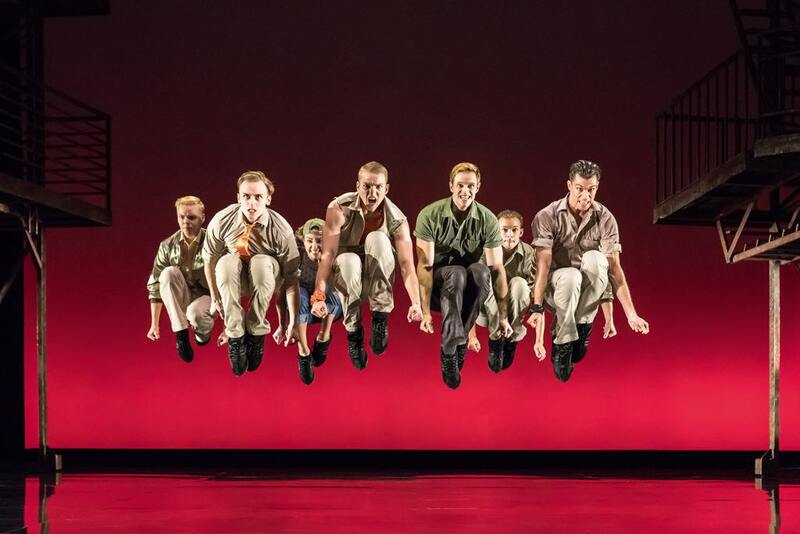 It is a well-oiled machine, especially when it comes to the dancing, with the performers occasionally seeming to fly in perfect collective liftoff. The singing was slightly more uneven, but the cast can only be congratulated on its prowess in pulling off the multitasking challenge of simultaneously singing, dancing and acting. Youthful leads Natalie Ballenger and Kevin Hack were especially touching as Maria and Tony, but the whole cast is to be commended. Kudos also go to Paul Gallis for the simple but effective set, with rickety wooden structures on the sides that suggest New York City tenements without being heavyhanded, and huge black-and-white photos of the city in the background. The costumes by Renate Schmitzer were also a delight, with the Jets and Sharks color-coded to distinguish one gang from the other: cool shades for the former and hot ones for the latter. In the end, I would have preferred a little less gloss and a little more soul and intimacy, but I think that is fairly impossible to achieve in such a large house. I’m just glad to have had a chance to see this modern American masterpiece once more and in such a fine-tuned production. Note: fans of American musical can also catch the Théâtre du Châtelet’s production of Singin’ in the Rain at the Grand Palais from November 28, 2017, to January 11.